The Days of Yore | interviews artists about the years before they had money, fame, or road maps to success, and inspires you to find your own. Terry Tempest Williams is a stunning writer, a dedicated activist, and one of the most forceful conservationist voices of our time. She writes only about that which moves her, and what moves her ranges from women’s health issues to nuclear testing and the diminishing wilds of the American continent. She is deeply rooted in and associated with the American West. 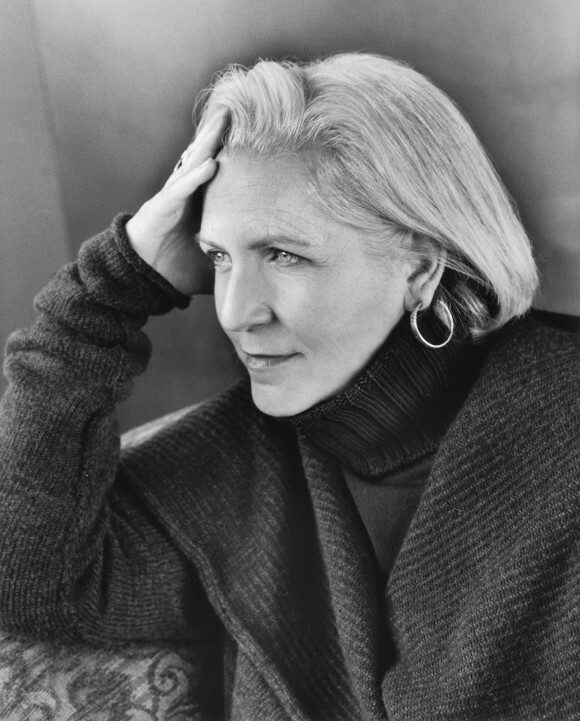 Her works include Refuge: An Unnatural History of Family and Place; An Unspoken Hunger: Stories from the Field; Desert Quartet; Leap; Red: Patience and Passion in the Desert; The Open Space of Democracy; Finding Beauty in a Broken World and, most recently, When Women Were Birds, which she calls a kind of sequel to Refuge. Her first book, The Secret Language of Snow, a children’s book, received a National Science Foundation Book Award. 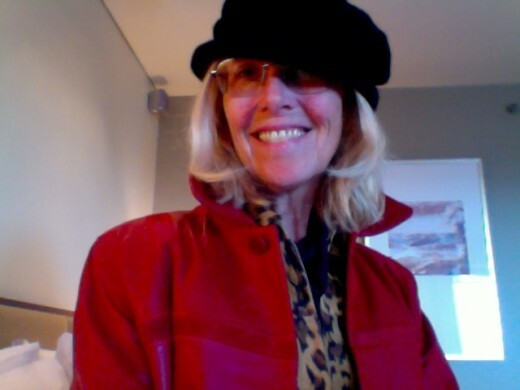 Williams’ writing on ecological and social issues has appeared in publications like The New Yorker and The New York Times, and the epilogue to Refuge, The Clan of One-Breasted Women, which explores the connection between the high rate of cancer in her family and nuclear testing in the Nevada desert, the region’s threatened natural landscape, and her own complicated relationship to Mormonism, is very widely anthologized. In 2006, Williams was awarded the highest honor given to an American citizen by The Wilderness Society: the Robert Marshall Award. She is also a recipient of the Wallace Stegner Award, given by The Center for the American West, and a Distinguished Achievement Award from the Western American Literature Association. She has received a Guggenheim Fellowship and a Lannan Literary Award for Nonfiction. In 2011, she was awarded the 18th International Peace Award given by the Community of Christ Church. Williams, who is known as much for her compassion as for her passion, has spent her entire life in the classroom and currently teaches at the University of Utah and Dartmouth College. This conversation took place over the phone on the morning of April 16, 2013, the day after the bombing at the Boston Marathon. Williams was in Boston at the time of the call, cheering on members of her family who had run in the race. I don’t how to make sense of it. It’s hard…Our family is at the Boston Marathon, as we speak, so it feels especially, personal. The bombing was very near where we all were the night before. My niece and nephew were running in the race. But, you and I are here with each other, you’re in Stockholm, I’m in the United States, so lets talk. Are you prepared to do the interview today or would you rather reschedule it? No I’m completely prepared to talk. This is the world we live in, it’s violent, unpredictable and this is why I write and to me it’s living my life engaged and I can’t separate my writing life from the world around me. America loves to exploit this violence on the television. It’s too much. It’s a relief to be thinking about something else. I think it’s important that if what we have to share with one another has any meaning we have to place it in this context. The who is in some ways the least important. Anyway, here we are. Thank you for doing this today. I love to start at the very beginning. You’re an activist, you’re without a doubt a very passionate person and I suppose I’m wondering when this passion began. Were you committed to ideas early on in the way that you have been later in life? I grew up in the American West, Utah, in particular, part of a traditional Mormon family going back six generations that moved to Salt Lake City for religious freedom. The outdoors in my family was a spiritual landscape, not just a physical one. So I think my passion has always been tied to the land, to nature, to birds. I was given a Field Guide to Western Birds by my grandmother when I was five years old and I would pore over the illustrations in that bird book learning the names of birds, memorizing their feather patterns, where they lived, maps of distribution… And they became kin. So the passion is deeply tied to my family, my religious upbringing, and the geography where I was raised. Utah is home ground. We lived on the edge of Great Salt Lake with the lake as the horizon line that looked like liquid silver. Spectacular sunsets were mirrored in lake at the end of each day. To our back was the spine of the Wasatch Range, part of the Rocky Mountains. So: mountains, Great Salt Lake, this liquid lie of the West, this body of water in the desert that no one could drink created the physical space with which I lived. We would make trips out to Great Salt Lake, my grandmother and I, to see the birds, these long-legged birds that would migrate into Utah each spring. Black-necked stilts, white-faced glossy ibises, long-billed curlews, red-wing blackbirds, yellow-headed blackbirds, ducks, geese, swans – I could go on and on. It was as though you lived in the middle of a desert Serengeti here in the American West. And my father would bring us home creatures: snakes, lizards, dead birds, bones. I remember in particular, a young cottontail rabbit that my father found that had fallen into the trench that became our pet. Then there was the time, he came home from a hunting trip with a horny toad that we were told squirts blood from its eyes. Deer hunting, pronghorn hunting, duck hunting…I would help pull the feathers from the mallards and pintails that my father would bring home and then, we would eat them for dinner. It was a very active, vibrant childhood that was deeply connected to the land. 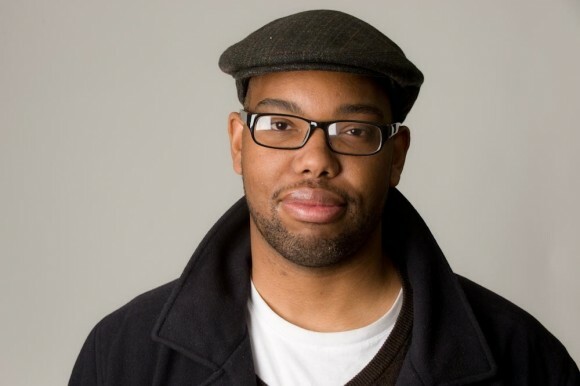 Ta-Nehisi Coates is a senior editor at The Atlantic and writes an immensely popular blog which was included on TIME Magazine‘s list of Best Blogs of 2011, with the motivation, “Like many of the world’s best bloggers Atlantic senior editor Ta-Nehisi Coates is impossible to pigeonhole.” Coates’ prose is electric, crackling with wit and intelligence. He tackles some of the most infected issues of our time – race, social inequality, masculinity – with a rare balance of passion and equanimity. Coates grew up in a rough section of West Baltimore. His father was a former Black Panther and founded the publishing company Black Classic Press, which he ran out of their home. Coats’ 2008 memoir The Beautiful Struggle: A Father, Two Sons, and an Unlikely Road to Manhood, is a lyric depiction of coming of age as an African American man in America. Coates attended Howard University but dropped out to pursue journalism. He wrote for The Village Voice, Washington City Paper, and TIME Magazine before joining The Atlantic. Tony Dorsett, the running back for the Dallas Cowboys. That’s what I wanted to be. Did you play a lot of football on your own or was that just sort of a….? I did, but I didn’t play too much on account of not being very good. You know, it was just something we did in the neighborhood, threw the football and ran around a lot, yeah, a lot of fun. And were you a kid who told a lot of stories? No, but, you know, I did ask a lot of questions. I asked a lot of questions. I really annoyed my brothers and sisters, I remember that. Everything! I mean that was how I ultimately got into writing. Professionally I started off in journalism and the thing about journalism is, it’s a license to ask anybody anything. For a kid like me that was exciting, you know? My dad read a lot, I do know that. My mom read a lot, there were books all over the house. Your father actually ran a publishing company, right? He did, he ran a small publishing company so there were books everywhere. I was voracious, man. My natural inclination was to read. Was there an early reading experience that was important to you? 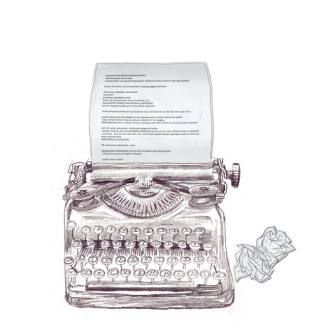 A lot of writers talk about that moment when they’re reading and they realize that someone actually wrote the story, that there’s someone behind the story. And I think what you’re describing similar, right? That feeling that you wanted to control the narrative. Hoyte van Hoytema is a one of the world’s most sought-after cinematographers. He was born in Switzerland, raised in the Netherlands, educated in Poland, has won awards in Scandinavia and is now the hottest ticket in Hollywood. His film credits include Let The Right One In, for which he received the Nordic Vision Award for cinematography; The Fighter; Call Girl; and Tinker, Tailor, Soldier, Spy, which garnered him a BAFTA and an ASC nomination. He is famous for his ability to capture the intangible; to paint emotion as well as color with his lens. 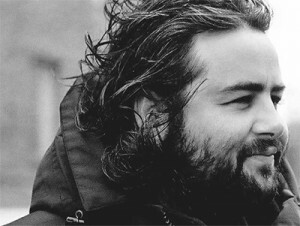 Hoytema studied cinematography at the Polish National Film School in Lodz. He lives in Stockholm with his wife and young daughter. Hoytema is affable, self-deprecating, and quick to chuckle. He can be seen rambling the streets of Stockholm dressed in layers of black, always with a camera around his neck and seasonably impractical sneakers on his feet. You were born in Switzerland to Dutch parents. What’s the story? My dad was studying there and my mom followed. They were living together in Zurich. That is why I was born there, it was pure practicality. And one year later we moved back to Holland. Your dad was studying architecture, right? He’s an architect. I find that interesting, that you dad is an architect and you’re a cinematographer. There is something there, a parallel I am trying to get at. Both architects and cinematographers are artists working within very technical media who need to adapt to wills and budgets dictated by others. Accommodating arts, you could say. You don’t carry the full responsibility of the functionality of your art or your contribution. Maybe that’s a parallel. But the parallel that I see more between my dad’s job and mine is that I just absolutely didn’t want to become an architect! Yeah. I think it’s a beautiful profession to be an architect. And to a certain extent it is very similar to what I do, because there is always so much politics involved before you actually get to do the nice things. There’s money, and financing, and whatever you do has also to be utilized by a lot of people. Anastas earned his MFA from the Iowa Writer’s Workshop and currently teaches writing at Bennington College. His fiction, criticism, and essays have been published in Story, GQ, The Paris Review, The New York Times Book Review, Harper’s, and Granta, among other places. 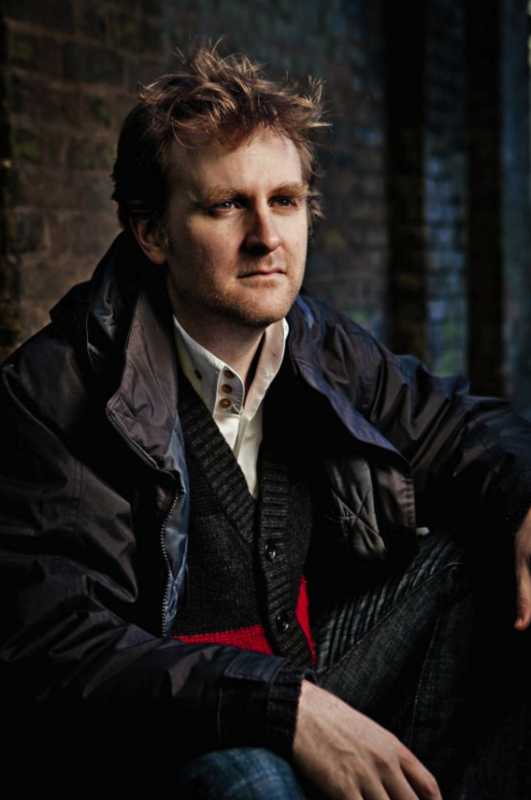 His essay, “The Foul Reign of Emerson’s ‘Self Reliance,'” was selected for The Best American Essays 2012. Despite all that Anastas has been through, his humor – and generosity – remain intact, as witnessed in this lively interview. How much do you know about The Days of Yore and how much do you want me to tell you before we sort of get going? I think I get the idea, which is sort of talking about a certain time in your life, before you were a grand personage. I like that: a grand personage. While you were still struggling. The struggle never ends but there’s struggling and then there’s struggling. Exactly. So, can you recall an early reading experience that was somehow important to you? Well, my father kind of made it his project to turn his children into literate people. All he had in his house were books; he never had any money but what money he did have to spend he always just spent on books. His house is just absolutely filled with them. I don’t remember how old I was, maybe ten or eleven, and for some strange reason he encouraged me to read James Joyce’s “The Dead”. I remember starting the story one night when I was staying at his house and not being able to stop. Reading about halfway through and then I couldn’t wait to go to bed the next night because then I knew I could finish “The Dead”, and did. I read it all the way through in two sittings. In a lot of ways it was the first grown-up literature I ever read. I used to read a lot of – I guess you would call them fantasy books – about swordfights and monsters and dragons and heroes with great manes of hair. But James Joyce’s “The Dead” was really the first profound reading experience I had when it comes to adult literature. And what was it about it that was so appealing to you? There was a lot that went over my head, but it was literally just the cadence of the language. When I got to that last page, about the snow falling over Michael Furey’s grave, I remember sitting there and reading it over and over again. And of course it didn’t hurt that my father – you know, I had been coached, I had definitely been coached. He said, “You’re not going to believe the last page of this story.” I think he’d even read it aloud to me. So, I had been primed to really appreciate this kind of pure outpouring of language almost for its own sake and it really did work. Of course the idea of having regrets in marital life and having carried unrealized love around with you for years: these were things that were completely alien to me as an eleven-year-old. It was just the force of the language itself that I found really mesmerizing and I remember very vividly staying up late with the bedside light on in the bedroom that I slept in at my dad’s house and just reading and reading and reading. 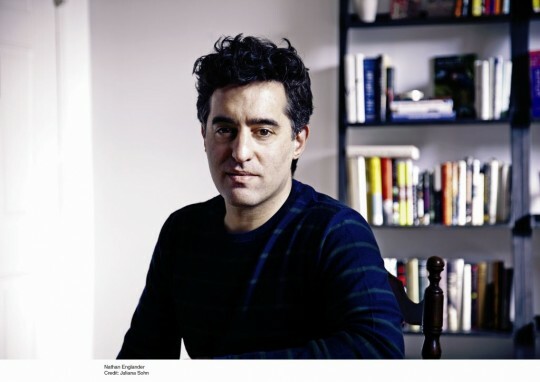 Nathan Englander is a critically acclaimed writer who has been translated into over a dozen languages and was named one of “20 Writers for the 21st Century” by The New Yorker. He is the author of one novel, The Ministry of Special Cases, and two short story collections, For the Relief of Unbearable Urges and What We Talk About When We Talk About Anne Frank, which won the 2012 Frank O’Connor International Short Story Award. He translated New American Haggadah, which was edited by Jonathan Safran Foer, and co-translated Etger Keret’s Suddenly A knock at the Door, both published in 2012. His stories and essays have appeared in The New Yorker, The New York Times, The Atlantic Monthly, and The Washington Post as well as in The O. Henry Prize Stories and several editions of The Best American Short Stories. In 2012, his play, The Twenty-Seventh Man, premiered at The Public Theater in New York City. Englander is a winner of the PEN/Faulkner Malmud Award, the Bard Fiction Prize, and the Sue Kaufman Prize from the American Academy of Arts & Letters. He has been awarded fellowships from the Guggenheim Foundation, the Dorothy and Lewis B. Cullman Center for Scholars and Writers at the New York Public Library, and the American Academy of Berlin. He earned a MFA from the Iowa Writer’s Workshop and currently teaches fiction in the writing program at Hunter College. This furiously paced conversation took place over breakfast at Englander’s Brooklyn home while his spirited pup stole croissants and yelped for us to quit jabbering and start playing with her, already. You grew up in an Orthodox Jewish home. Tell me about your childhood. Marina Abramovic said that a happy childhood makes a crappy artist. Maybe so! I remember being happy at my grandparents’ house when we’d visit them once a month. But yes, I was pretty much an anxious, unhappy child, I guess. I don’t know. If you ask my mother, her memory will be me always telling jokes. She said there’d be people over and I’d be telling the adults stories. She remembers this distinctly, that she’d be in the kitchen and hear laughter and I’d be out there telling a room full of adults stories. She remembers me climbing the walls and happy and storytelling and all that. But I think it was more…. the sense of being an outsider. What we’re talking about – maybe that’s the central thing – is this distinct sense of feeling outside of things, of questioning the reality that I was in but not knowing that there were alternate realities. I think I sort of compare it to what it must’ve been like for people to come out of the closet. It was this real feeling that: this is the world, this is my reality, and if I’m miserable then I’m going to be a miserable person in this world. That’s why I compare it to this idea that if you’re told, “this is how your orientation is supposed to be, this is how the world is,” and you just know at a young age that you don’t feel this way and if this is the only way to be then its going be a long unhappy life. Simply this: this is your world, this is your universe, and I just felt I’m probably just going to be an unhappy person in it. I guess you just don’t understand that there’s another option for you. Growing up there was a real structure of rabbis and students and to me this very clear, very gendered power structure, and I think it was just recognizing – just questioning that this doesn’t make sense to me. That’s the terror of, “I’m just gonna be unhappy here.” You don’t know your alternatives. 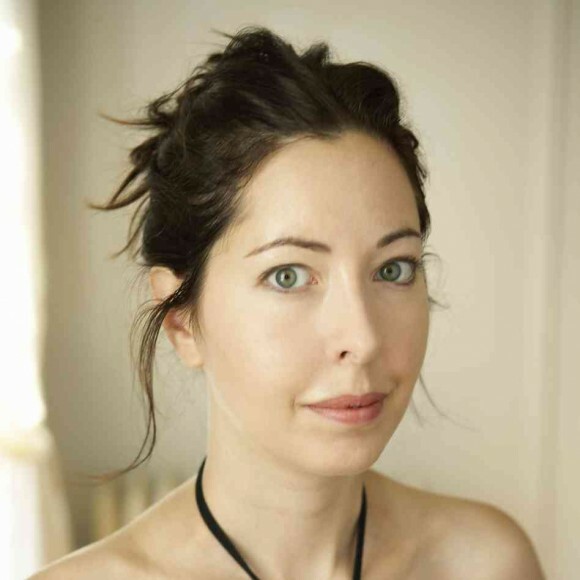 Sarah Manguso has written two books of poetry, Siste Viator and The Captain Lands in Paradise; one short story collection, Hard to Admit and Harder to Escape; and two memoirs, The Two Kinds of Decay and The Guardians: An Elegy for a Friend. The Guardians, which is a beautiful and unusual chronicle of losing a friend to suicide, was named one of the top ten books of the year by Salon while the Telegraph dubbed it a Best Book of the Year. 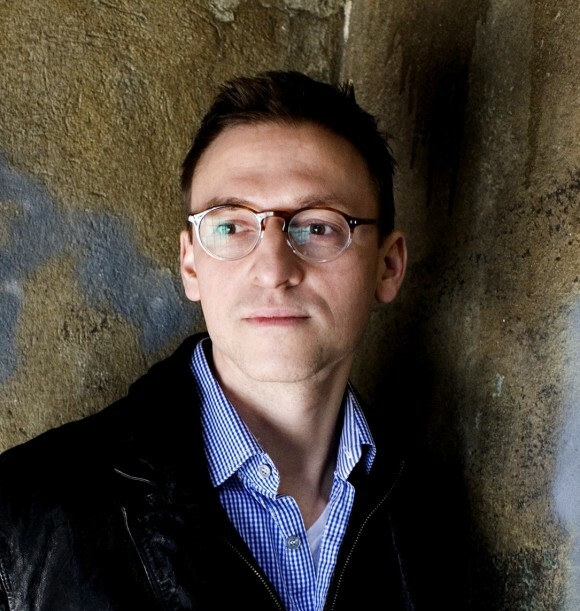 Manguso has been awarded a Guggenheim Fellowship in General Nonfiction, a Hodder Fellowship from Princeton University, and the Rome Prize from the American Academy of Arts and Letters. 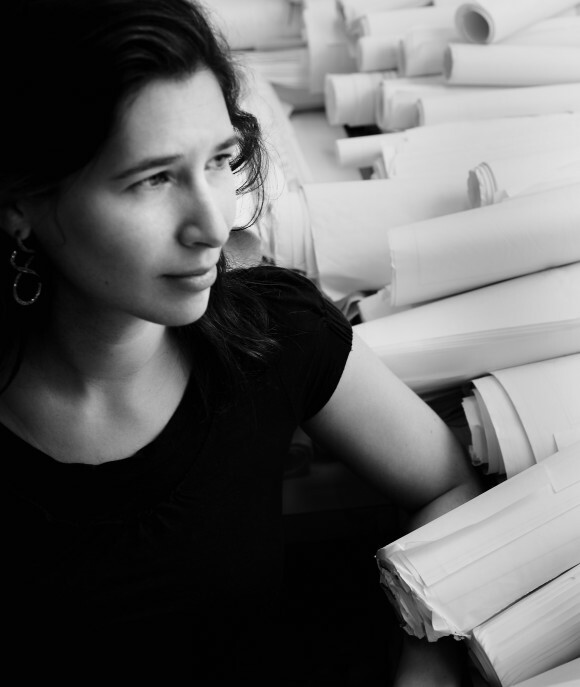 She is a graduate of Harvard and the Iowa Writers’ Workshop and currently teaches writing at Princeton University. When the Guardian described Manguso’s latest book as “clear and sharp as a shard of glass,” the critic may as well have been speaking of Manguso herself. This interviewer would like to add a few more modifiers to complete the picture: humble, thoughtful, kind. Were you the kind of child who ran around telling stories? Never. I can’t tell a story. I can look at a small part of actual reality and try to figure out what’s going on, and maybe write about it, but I cannot make up a story. There were sixteen kids in my first-grade class. We had show-and-tell a couple of times a week, and I could never find a reason to share anything with these people. We would go around the circle and everyone would have something to say, like, “My dog did this” or, “I went somewhere with my brother.” I never volunteered, and periodically people would say, “Why isn’t Sarah Jane sharing in show-and-tell?” To her credit, Mrs. Birkholz said, “Sarah Jane will speak when she is ready.” I don’t remember ever sharing anything. I was an only child, and I grew up on a street with a lot of retirees, so there weren’t many kids in the neighborhood. I spent most of my early childhood by myself. I looked at the toad family that lived in the storm drain, the little stones in the garden. Was there an inner dialogue going on that was about looking at and examining things? I remember feeling somewhat alienated from my peers when they talked about TV. I didn’t watch TV. My parents didn’t watch much TV. So I didn’t understand why, with these half-hour programs, everyone would then talk about them for hours at school the next day. It’s not that my parents were intellectuals; they just didn’t keep the TV on. But I remember very tall trees and interesting stones I would pick up. Maybe all the kids were doing this, too, along with watching TV. You just didn’t have the contemporary culture part. I was easily overstimulated — not in a way that made me combative or noticeably upset, but I sensed I needed less stimulation than I thought my peers did to feel full, to feel maximally involved in the universe, and I still feel that way.